At a recent dinner hosted by Don Francisco, Cesar Alvarez and the dozen-or-so other guests were discussing their life dreams. One by one, the people at the table recounted hopes for particular careers, goals, and achievements. “There were four Cubans at the table—myself included—and we all said the same thing: ‘We didn’t have dreams. We were focused on surviving,’” Alvarez says. His place as senior chairman and former CEO of global law firm Greenberg Traurig, LLP, might be the stuff of dreams for many. But for Alvarez it was all about growing and making the business better every day—both for himself and for others. Growing up in Cuba, Alvarez thought he would be an architect and spent his days sketching houses. But in June 1960, at the age of thirteen, everything changed. Alvarez’s family made their way to Miami as political refugees fleeing Castro’s communist Cuba. Upon moving to the United States, Alvarez’s parents strategically placed him in a high school far away from Miami’s base of Cuban exile immigrants so he could learn English and assimilate into the community. “There was not a Cuban anywhere around me,” he says. Alvarez and his younger brothers quickly learned the language and the local culture, and even joined the football team—a previously foreign concept to the former baseball players. All three excelled, but Alvarez followed the advice of a high school coach who said that he shouldn’t try out for a college football career because the coach did not think he was good enough. Meanwhile, his younger brother, Carlos, ignored similar advice, attended the University of Florida, and became the first consensus All-American as a sophomore since Doug Walker of SMU did it in 1947. “The coach was giving me the best advice he could, but I learned a valuable life lesson about not letting anybody tell me what I could and could not do; instead, now I always let the marketplace decide,” Alvarez says. Though he did not have a career in football, Alvarez decided he would do anything to ensure he could provide stability for himself and his family. He viewed any job, no matter how difficult or undesirable, as an opportunity that could open a door and lead to something better. As the years passed, those opportunities and jobs changed, but Alvarez continued to maintain that intense work ethic. He earned his bachelor’s, master’s, and law degrees from the University of Florida, and started to learn that working smart didn’t always mean working every minute of the day. Having started from the very bottom of the chain and learning every step along the way, Alvarez was able to provide a valuable leadership voice. As an extension of his leadership style and his respect for the individual, Alvarez is a big believer in not micromanaging. At Greenberg Traurig he rose through the ranks to a sixteen-year tenure as CEO and executive chairman. Though immensely successful, Alvarez’s steering of the organization did not follow a typical leadership approach. “Today, being a lawyer and being ‘diverse’ isn’t necessarily enough to get invited to a board. Companies want you to bring something to the board that is helpful for their business. For example, I am invited to boards because I helped build a multibillion-dollar business and operated as its CEO, not because I am a lawyer. Once you do make it to a board, make sure you learn everything you can about the company and its industry. You have the opportunity to be noticed, so you better have done your homework. Prepare and contribute to the conversation in a positive and thoughtful way. Alvarez has made an equally important impact on the lives of other business leaders, in addition to the lives of many Greenberg Traurig attorneys and business staff. Over the years, he has helped take many organizations public, which, in turn, created relationships that led to offers for seats on boards. Alvarez relished those opportunities, as the boards allowed him to learn new business models, further develop problem-solving skills, and discover tools that he could take back to his work at Greenberg Traurig. He credits his boardroom success to his penchant for simplifying complex issues and offering a clear business-oriented perspective. Recognition from boards and other lawyers proves to Alvarez that his hard work has not only improved his life, but has had a positive impact on others as well. “Being honored with lifetime achievement awards by both The American Lawyer and Chambers and Partners really summarizes all the work that my partners and I have done to build our firm, which has been recognized as one of the top law firms in the United States,” he says. Over the years, Alvarez has seen an uptick in Hispanic representation on boards, but knows there’s still a long way to go. 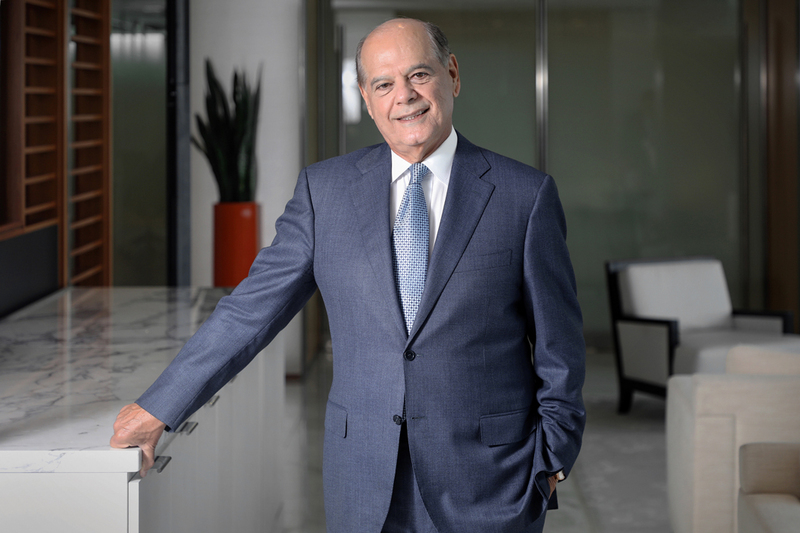 In addition to his own board memberships, Alvarez has made inroads in the diversity effort by working with organizations like the Black Corporate Directors Conference and the Latino Corporate Directors Association (LCDA). Alvarez and one of the founders of the Black Corporate Directors Conference served on a foundation board together for twelve years when he was invited to speak to the organization. Ever since, he has joined the organization’s annual meetings, hoping to take lessons back to Greenberg Traurig and the LCDA. “The Black Corporate Directors Conference is far ahead of other minority leadership groups. I love working with these organizations because we are natural allies. We should not be fighting with each other for one board seat. We should be focused on ensuring there are at least two seats or more available. Working together and creating relationships between these groups will lead to positive change,” he says. After many impressive achievements that others would call dreams come true, Alvarez has arrived at the stage in his career where he feels less intense pressure.